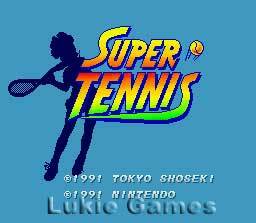 Super Tennis SNES Super Nintendo Game Cartridge Cleaned Tested and Guaranteed to Work! 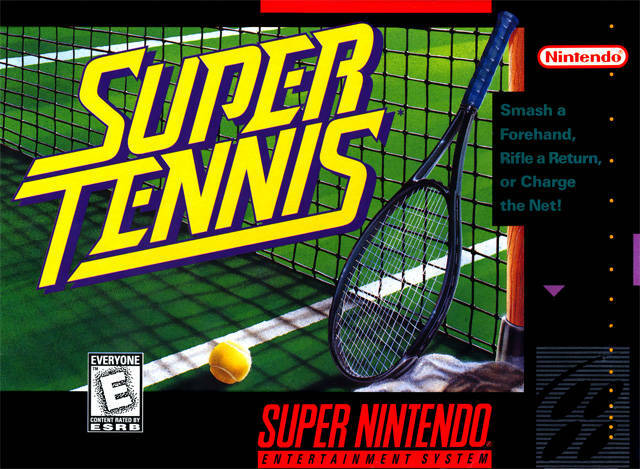 Super Tennis serves up amazing variety. Master ground strikes, serves, and footwork on hard courts, clay and grass. Play head-to-head against the computer or challenge a friend. Compete in singles or opt for doubles. You and the computer can be a team, and take on a friend with a computer partner. Or, pair up with your friend and compete against a computer duo. 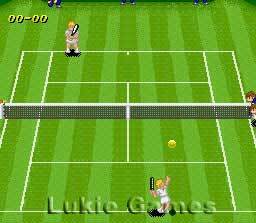 With great graphics and digital stereo sound, Super Tennis is as close to the real thing as you can get! Game is in great shape and works flawlessly. The cartridge from Lukie Games arrived in great condition and plays great. As for the game itself, it's really fun but playing against the computer is extremely difficult. Not an easy game, but definitely fun. 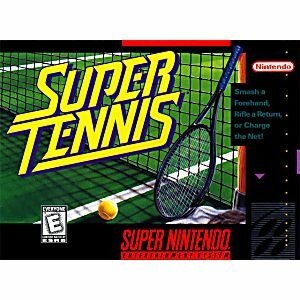 Excellent tennis game and very fun to play. Singles, Doubles or Circuit Mode which you travel the world in a championship style tournaments. Gameplay only took a couple of times to figure out. Very fun game for a pretty cheap price. This game pak will probably surprise you! Please see my review of the 'boxed' version of this, for more details. Actually pretty fun, for a resonable pricetag. Hard though.